Retreats — The Contemplative Life. "The Koran and the Talmud, the Bible and the Avesta, the Darshanas and the Analects praise silence. Religions are at one in teaching that, without quiet, the roots of piety will at best be shallow. The idea that God speaks not with the wind or the earthquake or the fire but with a still, small voice is a commonplace; it is general religious wisdom. In all places and at all times those longing to touch another world have instinctively known what to do – enter a desert, climb a mountain, join a hermitage." Engaging in an extended spiritual retreat, either in solitude or in a group setting, is a profound way to deepen your practice. In my experience, there is no other way to ____ than to completely unplug and remove yourself from normal life for a time. The following is a list of resources for spiritual retreats from a variety of traditions. Contemplative Outreach is an organization which comes from the Catholic contemplative tradition and is specifically associated with Father Thomas Keating and Centering Prayer. Contemplative Outreach sponsors retreats nationwide, including short introductory sessions as well as "intensive (oftentimes 10 day) retreats." Most of their content surrounds Centering Prayer, but others spiritual practices from Catholicism, such as Lectio Divina, are also sometimes included. Check out their nationwide events here. They also have regional chapters that may have more detailed local information. I love this book. 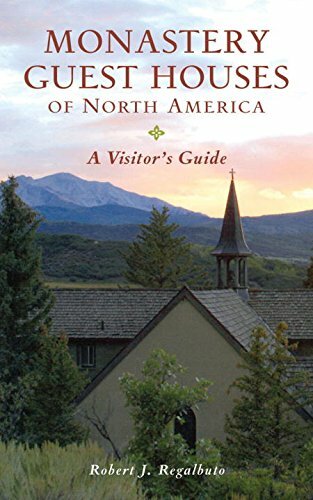 As the title implies, this is a list of monastery guest houses, listed state by state (or "province" by "province" for Canadians). Each listing typically includes a phone number or email to contact the monastery and set up a personal stay. Like to road trip? Not a bad way to to travel around the country. Book about monsastic retreat houses.